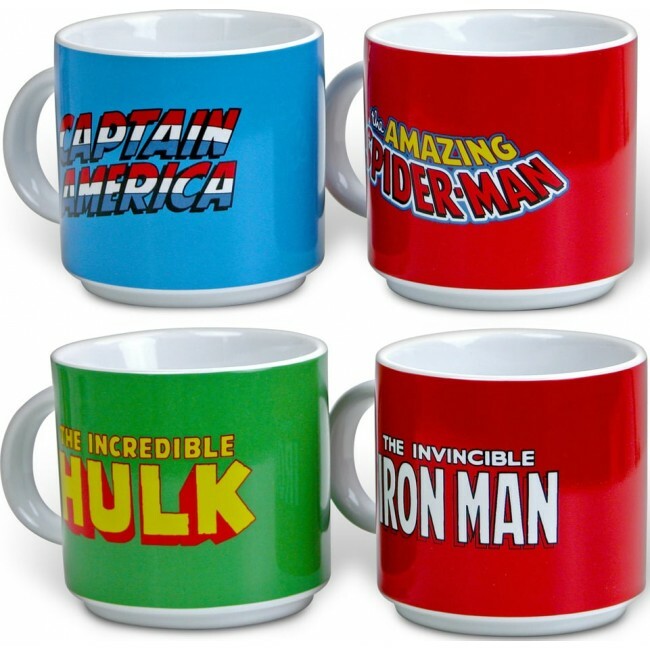 4 piece stackable mug gift set. Each mug holds 10 oz. 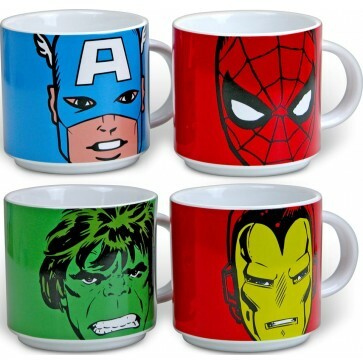 Make your coffees and teas Marvel-ous with these Marvel Icons Stacking Mugs. Perfect for everyday dining fun, fandom events, and collector gift sets! 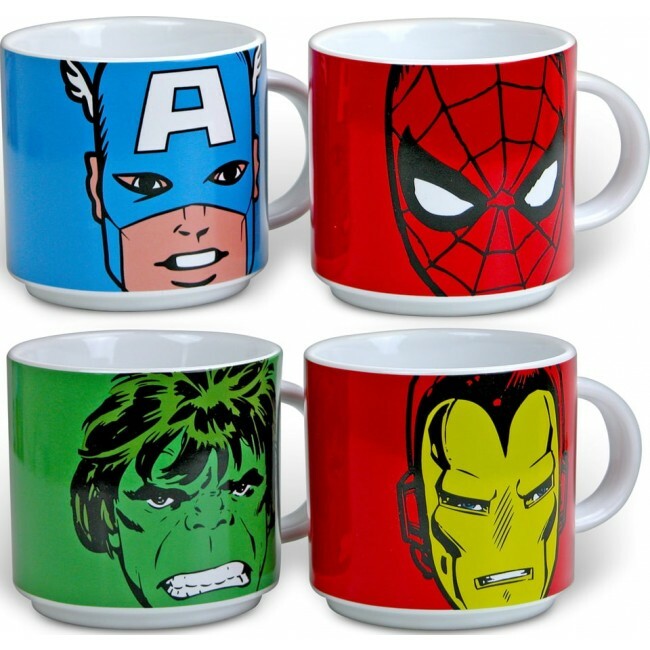 Crafted from high end ceramics with bright and beautiful character designs of Captain America, Incredible Hulk, Iron Man, and Spider-man. 4 piece nesting gift set. Product Dimensions on each 10 oz. mug: 4.5" x 3.25" x 3.5". Microwave and dishwasher safe.